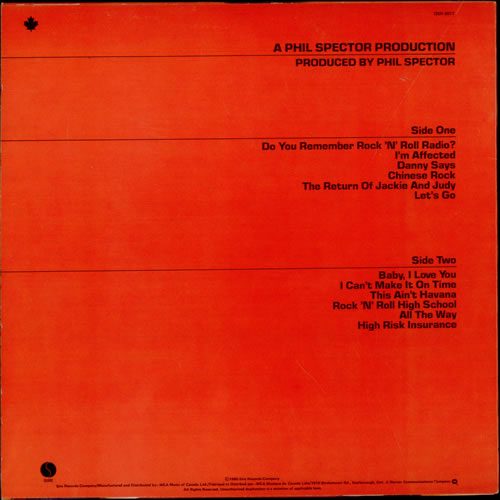 In 1980, The Ramones brought in the production genius that was the legendary Phil Spector for this, their fifth studio album. 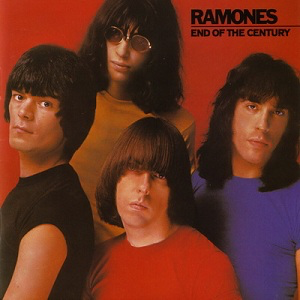 They had diversified just a little on their previous album, "Road To Ruin" and this outing saw them broadening their horizons even more while still remaining true to their punk roots. 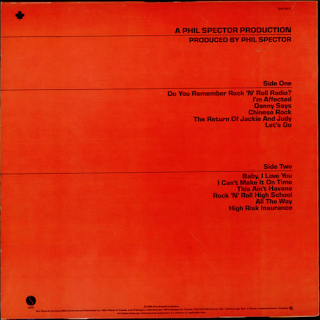 With Spector's help, they laid down a killer cover of The Ronettes' "Baby I Love You", although nothing could hope to compete with the original. Why, it even included orchestration. Strings? 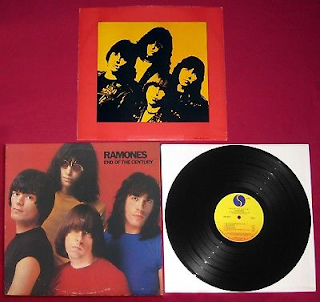 On a Ramones record? Wow! "Rock n Roll Radio" was a big production "wall of sound" tribute to old rock n rollers and DJs. Most of the other material was more punky - the catchy "Rock n Roll High School" (used in the film of the same name; my own personal favourite in "All The Way"; Richard Hell & the Voidoids' "Chinese Rock"; "This Ain't Havana" and "High Risk Insurance". All these are punk in nature, but still have a tunefulness to them, as indeed does the almost laid back feel (at times) of "I'm Affected". Another favourite is the "slowie", "Danny Says" about their road manager. Lovely melody and delivery by Joey. This is just a little different from what we had come to expect from The Ramones, within reason. They even used a few extra bits of percussion and I'm sure there is a acoustic guitar in there somewhere.